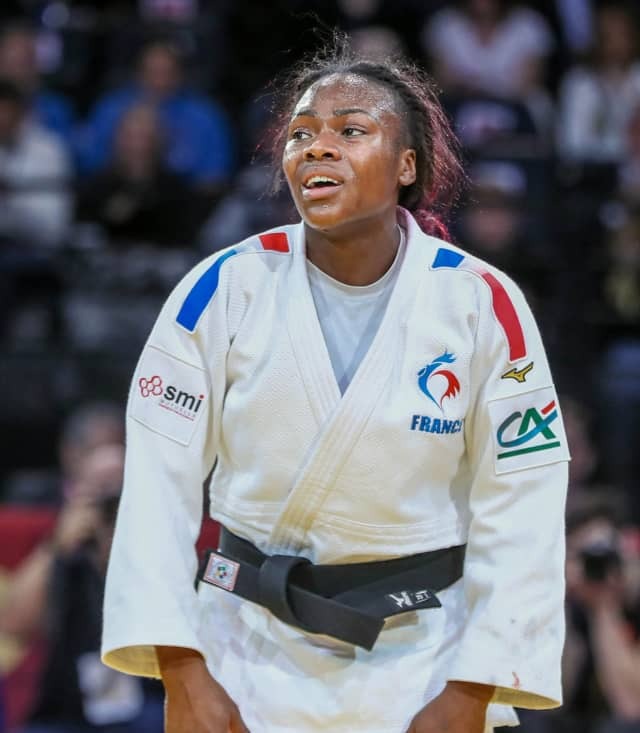 She has not yet reached the seven victories in Paris of her illustrious elder Lucie Decosse, but Clarisse Agbegnenou, who won her fifth gold medal at the 2019 Paris Grand Slam, can already be considered the new queen of Bercy. 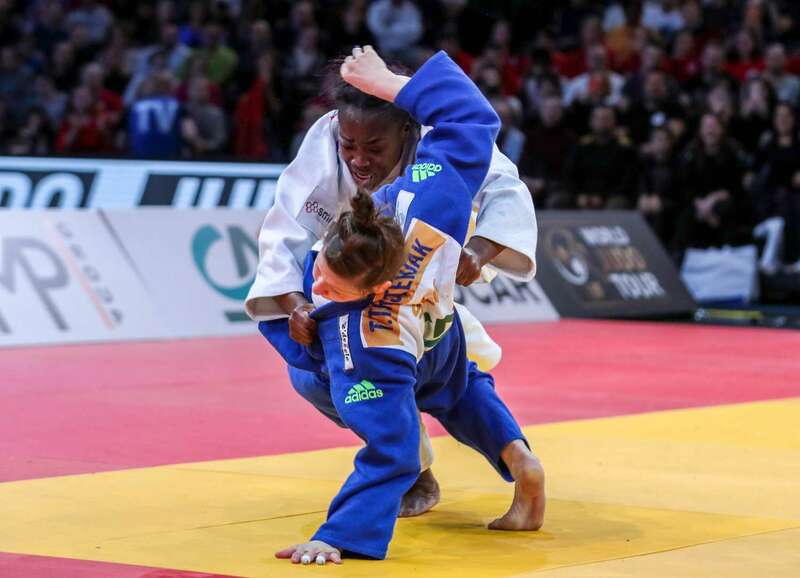 Opposed to her great rival, Tina Trstenjak (SLO), and dominating an incredible final, the young woman commented on a result that propels her even higher at the top of the world ranking list. Having sustained a shoulder injury during the final action of the final match, the French arrived in the press room with her arm in a sling, but also with a big smile on her face. I hurt my shoulder at the end of the day, on my last action, the one that gave me the victory. I do not know exactly what it is. I will have an MRI tomorrow and we will advise. I had trouble getting started early in the day because I had trouble concentrating on my judo. I must say that I had a big week of training. I did activities that were not necessarily judo oriented. It was useful to take a little distance, but at the same time it complicated my task in the first matches. This fifth title in Paris is simply great. It puts pressure on my opponents, who realize that I am the leader of the category. This psychological ascendancy is important. As the day unfolded, I became aware that the public had come to see me. The public was sheering more and more. On the one hand, it makes my heart warm, but at the same time, I said to myself: oh yes, no choice... It added a little pressure. As the tours passed, the other French were eliminated, I was more and more alone in the warm-up area. At the end, there were only my coaches and me. It's not necessarily easy to manage. But as soon as I entered the arena, I felt that the audience was there for me. It gave me a second lung. In the coming months, I will continue to work on the psychological aspect. I have the impression that I was not yet 100% yesterday, even though I gave everything, but I still have work to do. Beyond the injury, it was more difficult here than at the World Championships. I was not prepared the same way though. I'll have to watch my fights again. I honestly do not remember much of my day. I do not know if it's related to being hurt at the end, but it's as if everything had been erased, as if I had been disconnected. I will mostly watch the final of course. I know that Tina and I gave everything, body and soul and that's beautiful. I tried some new techniques yesterday, but not that much. I wanted to make sure that everything would be fine. But I also met, except for the final, opponents who I did not know that much. For some, it was even totally new. So it was not the time to take risks when trying new things. But that gives me ideas for the future. My whole family was there to support me. It's so important to me. We are very close. At the end of the day, I shed some tears, some of pain, but others of joy. It feels good. A few years ago, I never saw myself getting to that level. When I started judo, it was just to channel my energy and play sports. I had tried other activities until the day my school principal suggested to my parents to register for judo so that I could calm down. Today it has become the case, I give everything on the tatami, but I am more calm in life. You never really get used to winning a competition like the Grand Slam of Paris. Each competition is different, even if some form of serenity settles. I always tell myself that if I lose, it is only a step towards better days and it allows me to know what to work on. But yesterday I won, and still I've learned a lot. I was really tired and overcoming this fatigue was a very positive point. I was able to put myself in my bubble and concentrate. Five titles in Paris is a lot. I did not even remember before the competition that I already had four. I thought it was three, not to mention a silver and a bronze. But when I realized it, I thought it was an interesting challenge. Everyone asked me if I could win again: I answered them in the most beautiful way. Because of the difficulty of this day and the small injury at the end of the competition, this medal has a place apart. It forges the character. Throughout the competition I tried to be in total connection with my coach, Larbi Benboudaoud. There is a real alchemy between us that allows me to find the right balance between power and technique. I was also proud yesterday because I am committed to promoting women's sport. 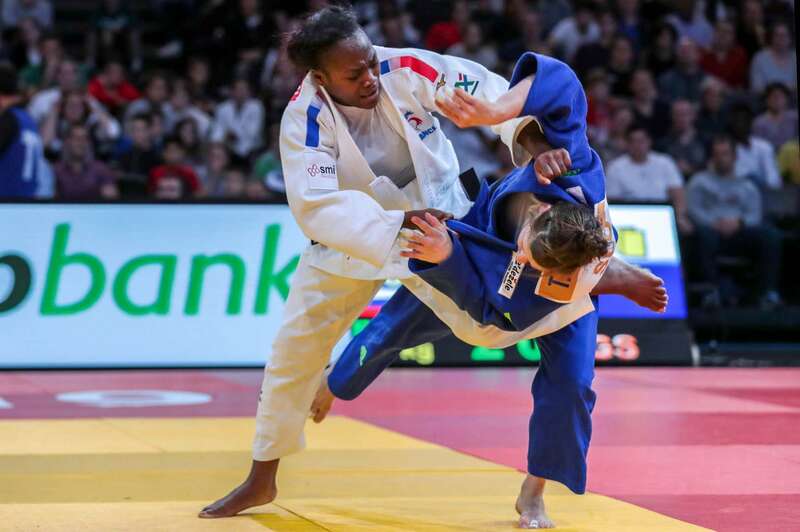 I do not feel like a feminist, but if men do beautiful judo, I'm also convinced that we women do beautiful things, and it's important that we can show it and express ourselves. You can be a top athlete, or a businesswoman and be an accomplished woman. I was happy that the Sports Minister, Roxana Maracineanu (former Swimming World Champion, and Olympic medallist), was able to come. We had promised to meet at Bercy, her in the middle of her complicated schedule, and me at the top of the podium. We both kept the promise.